I promised never to speak of the things I see. Trinity Monsour has a rare, disturbing gift. Dark dreams haunt her nights, and her visions are more than just nightmares. When the prettiest, meanest girl at school disappears, Trinity knows she's in terrible danger. She's seen it. They're not just dreams, are they? As her visions become more sinister, Trinity knows time is running out. But in a city of secrets, can she find Jessica before everything shatters around her? No one was supposed to get hurt. Sixteen-year-old Trinity Monsour has been kept in the dark all her life, by people she loved. One by one, members of her family died, until only her aunt remained. Trinity starts to piece together her past, asking about her dead parents and visiting old family friends. But will she find out what she set out to find in the first place, or will her dreams be shattered forever? I had no idea what to expect of this book when I looked at the cover and read the blurb. It sounded intriguing, and by the first couple of pages I was hooked. People being psychic is a complex idea to write about, but the story actually seemed realistic and believable. The characters were typical teenagers, with moody, mean, popular Jessica and her equally mean best friend Amber. Kind-hearted, popular boy Chase who everyone likes, and new-to-school Trinity, who, every time she tries to fit in, seems to drift a way a little more. 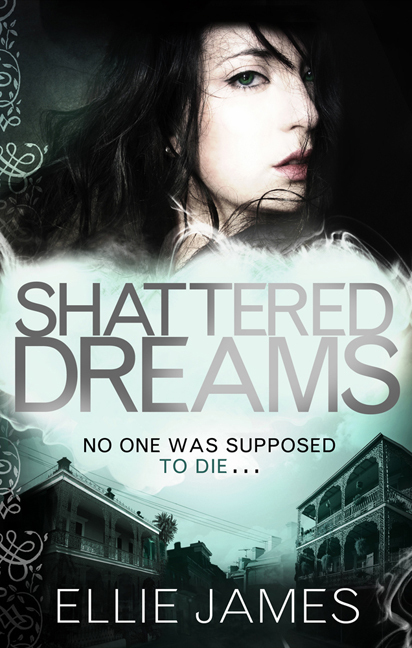 The only fault I found with 'Shattered Dreams' was that some parts of the story confused me slightly as it was a bit quick-paced, but it was still extremely enjoyable and I loved every second of reading it!